After devoting my working life to facility management including teaching hundreds of other maintenance professionals in the proper techniques and methods for establishing and maintaining proactive maintenance and repair programs, it is my opinion that we have some very serious funding shortfalls in our community for maintenance and repair activities. Having a new town manager will renew our opportunities for making improvements in our maintenance and repair programs. As we move forward with this new partnership, it will become increasingly important to keep the residents of our town updated on our progress of stretching our dollars to meet the highest priority needs of our resources. Our current strategic planning document listed our resource value at $1,000,000,000. Based on the accepted recommendation to set aside 2% to 4% of the value of our resource annually for the maintenance and repair, we should be setting aside $20,000,000 to $40,000,000 each year. We have a multi-million dollar Department of Public Work’s annual budget, but to the greatest extent these funds are used for the completion of routine and minor maintenance. We annually set aside $1,000,000 in our Capital Improvement program which is solely dedicated towards capital maintenance and repair activities. Although this is a lot of money, $1,000,000 only equals 5% of the minimum we should be spending each year on maintenance and repair, or 1/10th of 1% of the total value of our resource instead of a minimum of 2%. Annually we also receive Chapter 90 funds from the state to assist us in maintaining our roadways. Although we receive approximately $450,000 a year from this fund, we should be spending approximately $500,000 a year on routine maintenance on our roadway system. It is evident that our state allocation doesn’t even fully fund our routine maintenance program and does nothing for our deferred maintenance backlog of roadway projects. In 2009, the town purchased a computerized pavement management system which was installed and made operational by the Pioneer Valley Planning Commission. This program tracks the condition of our roadways and provides data for making roadway improvements. When the system was installed, it showed that we had an estimated backlog of roadway work totaling approximately $12,200,000. The report further stated unless we significantly increased our allocations for roadway maintenance the backlog would continue to increase. The report indicated that by the year 2014 our backlog would be $27,000,000. Since 2009, we have done very little to alter the outcome of this study. Unfortunately, delaying roadway repairs will exponentially increase the cost of repairs when completed. In Longmeadow we have approximately 100 miles of roadways. Some of these roadways such as Longmeadow Street, Bliss Road, and Converse Street receive more average daily traffic (ADT) than a typical residential street. As a result of this traffic, these roadways will require significantly more maintenance than a residential road. Generally speaking all roads deteriorate over time from basic weathering and this process will speed up depending on use and other factors. If left unattended, a new road will gradually degrade to a road that requires reconstruction. Routine Maintenance – Routine maintenance items are those activities designed to address or correct specific pavement failures or distress. Routine maintenance typically addresses localized pavement defects and includes such activities as patching, crack sealing, infra-red heat treatment and other techniques to repair a specific problem area. Preventative Maintenance – Preventative mainenance tasks are planned activities performed at regular intervals which are designed to protect and seal the pavement. The seal will provide a number of benefits including extending the life of the wearing surface, preventing the intrusion of air and moisture that can break down the pavement surface and filling small cracks and voids in the surface to prevent them increasing in size. Preventative maintenance activities are cheaper per foot of road than reconstruction or rehabilitation. Reconstruction – Reconstruction is considered the complete removal and reconstruction of a road or segment. The road is beyond repair and needs to be completely rebuilt. Included in reconstruction projects would be items such as widening, realignment, traffic control devices,and major base and drainage work. The attached chart demonstrates the effects of delays in performing roadway maintenance. Dollar amounts required for repairs were taken from the study completed in 2009 by the Pioneer Valley Planning Commission. Let us assume that 40% of our streets are main arterial roads and 60% are residential. The chart above is best suited for arterial roads as residential roads would have lower ADT counts. Let’s assume we reconstruct our arterial roads on a twelve year schedule and our residential streets on a sixteen year schedule. Accordingly, we would rehabilitate approximately 3.3 miles of arterial roads and 3.75 miles of residential roadway annually. Even with all of our roadways returned to a given standard and with us providing adequate preventative maintenance, our annual rehabilitation cost would be between $1,900,000 and $3,500,000, which doesn’t included the $500,000 a year that should be spent on routine/preventative roadway maintenance. These figures represent a simple mill and overlay and do not take into account drainage repairs or the replacement of underground utilities. In 2008, the Town of Longmeadow contracted with Tighe & Bond, Consulting Engineers and Environmental Specialists to complete a water system evaluation. The results of this study indicated we had nearly $55,000,000 worth of short and long-term improvements to be made to our water system. Since the completion of this study many improvements have been made to our water system but we still have tens of millions of dollars worth of needed repairs. We have miles of six inch and four inch water lines that need replacement to meet capacity requirements in addition to miles of eight inch lines also requiring cyclic replacement. We have approximately 71.5 miles of sidewalks. Our sidewalks like our roads are in various states of need and require a considerable amount of rehabilitation. If we assume that 1/3rd of our sidewalks currently need replacement (conservative estimate) it will cost us $5,300,000 to complete these repairs. This year the Select Board recommended that $280,000 be allocated towards this program with funds from the capital improvement program. Even if this effort is continued in the future, it will still take us 18.92 years to eliminate the current backlog. In a study completed by JCJ Architecture in 2007 on fifteen of Town of Longmeadow’s buildings showed an estimated backlog of work including schools to be approximately $123,000,000. In this brief overview I have provided some insight on the growing problem of deferred maintenance and repair on just five critical resource groups in our community. Other resources not included would be parking lots, streetlights, signs, trees, landscape areas, recreation areas, drainage systems, dams, traffic signals, ADA compliance, just to mention a few of the other areas that demand equal attention during the year. Just with the resource groups shown it is estimated that we have maintenance and repair backlog of approximately $213,000,000. As staggering as this figure is, it doesn’t take into consideration the millions of dollars we need to add to our maintenance and repair annual budgets to provide adequate preventative maintenance in the future to keep our resources at an acceptable standard. And these figures don’t take into account the deficiencies of the resource groups not mentioned in this brief overview of our Town’s resources. I have identified a problem that our community faces and I have outlined a process for improvement. I am hopeful that our new town manager will embrace some of my suggestions as he develops an action plan for the future of our community that avoids making the same mistakes from the past. We can reverse the degenerative curve on the condition of our resources, but it is going to involve varying degrees of change, growth, and increased revenues. The residents of Longmeadow deserve to live in a well maintained community where our attention ensures that our resources receive adequate maintenance attention to preserve and protect them for the enjoyment of future generations. Although I am a Select Board member these views are my personal views and observations and should not be considered as the official opinion of the Longmeadow Select Board. In the April 11 edition of the Longmeadow News, Select Board member, Mark Gold responded to recent comments by two School Committee members about FY2014 budget process. In the March 28, 2013 edition of the Longmeadow News there were two opinion columns, one by School Committee member John Fitzgerald and the second by School Committee chair Michael Clark that presented the School Committee’s opinions about the current Longmeadow Town budget process. Since it appears that the residents of Longmeadow will be receiving their information in the Longmeadow News about important topics such as the budget through opinion columns rather than an objective reporter’s article, I feel it necessary to respond to both these opinions by offering my opinions on this discussion. Let me start by making it clear that I have, and continue to support a compromise budget with the School Committee. Even before this process of dueling budgets began, I reached out to School Committee member and school finance sub-committee member Jim Desrochers to see if there was a compromise budget that could be agreed upon. Although I am not particularly fond of the compromise that has been proposed, that is in fact the nature of a compromise, a budget that neither side is entirely comfortable with but one which can be taken forward for the Town’s Fiscal 2014 budget. Having stated my support for compromise, I also, however, feel it important to communicate to town residents why I feel it was reasonable to request that ALL town departments, from accounting to zoning, from Parks and Recreation to Schools, prepare a fiscal 2014 budget at the same level as Fiscal 2013. In fact, all town departments except the school department met that budget directive. It is also important to communicate exactly what a level funding is, because even that was an early point of disagreement between the School Committee and the Select Board. What is Level? During last year’s budget process, the Select Board and School Committee jointly identified an annual expense of $110,000 within the School Committee budget for the rental of a fiber optics system from Verizon that served both general government offices and the schools. At the recommendation of the Director of IT, it was jointly agreed that the town would purchase a fiber optics network, remove this $110,000 from the school’s annual budget, and use those funds over the next 8+ years to pay off the bond that purchased the fiber optics network. It was agreed that for FY 2014 and beyond the school committee budget would therefore be reduced by $110,000 (or slightly less to account for the cost of a service contract for the purchased network) to reflect the capital costs of this purchase. With the FY 2014 budget that was first proposed by the School Committee, it was claimed that the budget was $635,000 above last year’s budget, but in fact it was $735,000 above the “level funding” budget that had been jointly agreed upon. A small point, and perhaps it was just semantics, but it took several weeks before the School Committee acknowledged that the submitted budget represented an increase of $735,000 above last year. Recent tax history and capital needs. The Longmeadow tax rate for the current fiscal year (FY13) is $21.54 per $1000 of evaluation. This is an increase of 9.45% over the FY12 tax rate of $19.68 per $1000 of evaluation. This increase is the result of three factors: A general budget increase that raised tax revenues by 2 ½ %; the Proposition 2 ½ exclusion of the cost of the bonds for the new Longmeadow High School; and the reduction in tax revenue from large taxpayers such as Twin Hills Country club who successfully challenged their tax classification. Despite this significant increase in tax rate, the Select Board recognized the need to begin addressing infrastructure needs that had been long neglected; road repairs, sidewalk repairs, and storm sewer outfalls all need substantial improvements – improvements that required capital funds. Although the Select Board could have asked town residents to fund these projects through debt exclusion bonds (bonds that are paid for in addition to the Proposition 2 ½ general tax increase) this approach was not taken for two reasons. First, the amount of capital needed for currently identified repairs to these three areas (roads, sidewalks, storm sewers) would have required a bond that is up to two times the amount borrowed for the high school. That’s right; road, sidewalk, and storm sewer outfall capital needs exceed $60 million. Secondly, it was felt that a way had to be found to begin to include the cost of these capital repairs into the general operating budget so that we could tackle these infrastructure issues over time without exceeding the proposition 2 ½ levy limit. I did not feel that it would be wise to add to this year’s 9.45% tax increase with a tax proposal for next year that would also exceed the proposition 2 ½ % levy limit. Luckily, there were several issues at work in the town that would allow us to provide funds for beginning the infrastructure improvement program without increasing taxes above the 2 ½ % levy limit. The starting point for providing this capital infusion was level funding for operating department budgets. Why a level funding request is reasonable. But I digress from the purpose of this document, which is to put forth why I believe a level funding request to all town departments, including the School Department, was reasonable. There are four reasons I felt that the town departments could submit a level budget for 2014 vs. 2013. First Reason: Turnbacks: The first reason to expect a level funded budget is that for many years the budgets of both the general government side of the ledger and the School Department side of the ledger has exceeded the funds needed to run those departments. Year after year, money has remained unspent at the end of the fiscal year. This money is returned (or turned back) to the town and is euphemistically called “free cash”. It’s not free, you and I paid for it in taxes. In the past four years these funds have ranged from as little as $400,000 to as high as $800,000. Why are town departments asking for money that is apparently so desperately need in May, only to return it unspent a year later? In a word – contingency. On the general government side of the budget, we are required by state law to approve budgets department by department. Not quite as restrictive as the line item budgets of the past, never-the-less the town departments must estimate in May how much money will be needed in the upcoming year. For example, on the general government side of the ledger, funds allocated to the police department’s wage overtime line item cannot be supplemented by funds available from not fully spending funds on legal fees. Since police department overtime is used to pay for OT needed to book criminals, watch prisoners in our cells, or testify in court, one can only estimate the overtime that will be necessary. In a year (such as this) where there was a string of house breaks requiring extensive OT, that budget was fully utilized. We cannot supplement Police Department overtime funds in January by transferring funds from Park and Rec, only a town meeting can put more funds in that budget. But the School Department budget is different. The School Committee has line item autonomy. Working with just a “bottom line” budget, the School Committee can and does shift funds from line item to line item. They can alter any budget line item needed – as long as the bottom line remains unchanged. The Select Board has worked hard to minimize turn backs, and with a track record of consistent turn backs it was felt that better budgeting would prevent us from raising tax money that wasn’t going to be spent – and with the line item flexibility within the School Department a budget request that would minimize next year’s turn back of funds was reasonable. Second Reason: payroll attrition: The second reason to expect a level funded budget is attrition of employee salaries. The salary structure of the general government and schools often include payments for longevity and steps for years of service to long-term employees. The natural attrition of employees that takes place year after year has become statistically predictable. It’s time we started budgeting for that attrition. This year the general government included these salary changes in our budget process – some through true attrition (including the town manager) such as the police department and some the result of the unfortunate deaths of two key town employees. There are retirements in the schools every year, and it is not unreasonable to ask the School Committee to include in its budget a reduction that reflects the approximately $100,000 in lower salaries that result each year from hiring new employees at the bottom of the pay scale or without the steps or longevity of those departing employees. Third reason: designated fund accounts: The third reason to expect a level funded budget is that the School Department has significant money in designated fund accounts. These specific accounts total over $750,000 and although not all the funds in all accounts can be made available (some are indeed restricted use funds), accounts such as the parking lot fund (money raised from student parking fees) will clearly not be needed to renovate the new high school parking lot (one of the stated uses for the fund when it was established) for years to come. There is $40,000 in this parking lot fund that can be used for one time purchases, thereby reducing the overall school budget by that amount. The parking lot fund is just one of many designated accounts available to the School Committee to moderate their budget for 2014. The general government budget has been using one time funds (free cash, reserve fund) for several years to balance the budget – it’s not unreasonable to request the school committee do the same. Fourth Reason: enrollment decline: The fourth reason to expect a level funded budget is that there has been a significant decline in school enrollment over the past five years, and neither school department staffing nor funding reflects that enrollment reduction. Since the 2007-2008 school year the enrollment in Longmeadow public schools has declined from 3157 students to 2868 students this year (numbers from the Mass Department of Education). That’s a reduction of 289. Since 2004-2005 the numbers are down 499 students, with a further projected decline of over 30 students next year. During this same five year period where enrollment has declined 10% the school departments non-cafeteria staffing has increased as has their overall budget by over 10%. It is not unreasonable to expect to be able to hold the line on expenditures one year out of five in the face of reduced year over year enrollment. As I stated at the outset of this article, I favor finding a compromise budget position with the school committee. I have provided these comments because there have been opinions published in the Longmeadow News that present the Select Board’s budget directive as either arbitrary or unreasonable or both. Nothing could be further from the truth. The Select Board’s budget directive was and remains a reasonable expectation. In his opinion article, School Committee member John Fitzgerald chose to characterize the Select Board as “a collection of five individuals who can pretty much do what they feel like doing”. Nothing could be further from the truth. Select Board members are answerable to ALL town residents, even those who do not have children in the town school system. We deal with a myriad of issues from underage drinking violations to water and sewer rates. The breadth of responsibilities of the Select Board requires that our actions be guided by the Town Charter – a document that supersedes the need for a catch-phrase based vision statement. As for his opinion that members of the Select Board “do not have to offer evidence to support their views”, and that few of our meetings “feature real policy debates”, he clearly has not attended or watched many of the Select Board meetings. 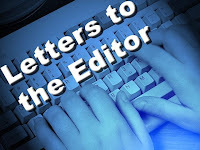 Unfortunately the contents and details of neither Select Board nor School Committee meetings are reported in depth in the Longmeadow News, but Mr. Ftizgerald is mistaken if he believes that his ability to pen a well written, but error filled opinion column will be the definitive word on the workings of the Select Board. The operations of Longmeadow Town government, particularly the relationship between the School Committee and the Select Board, should not be a win-lose alternative as Mr. Fitzgerald “predicts” in his column. Such a statement indicates an unwillingness to work toward a solution that best benefits ALL town residents. 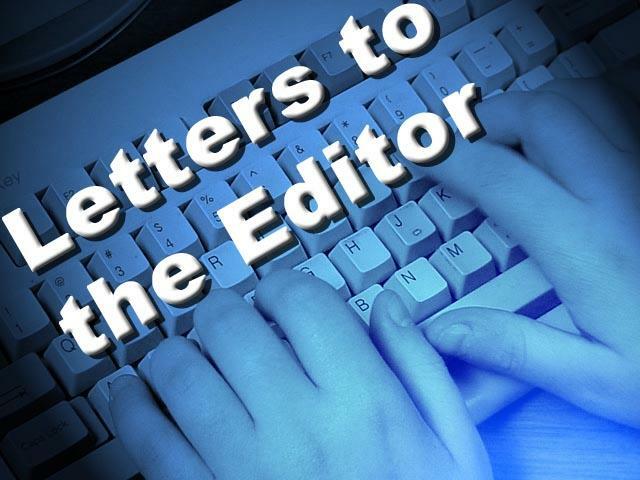 The use of press releases couched as opinion columns that portray only one side of an issue do little to encourage the town residents to understand the complexity of issues that the town is facing. I encourage Mr. Fitzgerald to join the other members of the School Committee and work toward a budget that recognizes the realities of 21st century municipal financing, one that the entire town can live with. Below is a Letter to the Editor from Longmeadow Select Board member Mark Gold about his recent vote to remove a Community Preservation Committee proposed article from the warrant for upcoming Annual Town Meeting. Thank you for your story in the March 28th edition of The Reminder that reported on the Select Board's decision to remove a proposed $96,752 spending article from the Longmeadow Town Meeting warrant. I believe that additional clarification to my opposition to that proposal would round out that article by providing insight into my reason for my vote to remove that article from the warrant. As background, one should note that the article proposed to modify the Wolf Swamp Road fields to remove two softball fields and infill them with grass so that additional soccer/lacrosse fields can be placed in this area. However, the cost breakdown of the project shows $20,000 as the cost of that field conversion, the balance of the project funding being designated to: replace the fencing between the fields and the road ($27,186), install 15 foot high netting on top of that fencing ($21,883), installing a guardrail along Wolf Swamp Road ($15,053) and project contingency ($12,620). To be clear, that's 21 percent of the project cost to convert the fields. The need for new fencing and netting was because the proposal also called for the fields to be reoriented to a North-South alignment (perpendicular to Wolf Swamp Road) rather than the current East-West (parallel to Wolf Swamp Road) orientation of the playing fields. First, as reported in your article, Mr. Goodhines, the Parks and Recreation Committee liaison to the Community Preservation Committee, indicated that the highest priority of the Parks and Recreation committee is to maximize the number of playing fields within Longmeadow. Based on the diagrams submitted with the project proposal, this goal of maximizing fields is achieved simply by infilling the softball fields at the Wolf Swamp Road fields – and no additional playing fields are gained by changing the orientation of the fields by 90 degrees. With the fields remaining in their current East-West orientation the need for the fencing and netting is eliminated. If the primary goal of the project can be achieved for 21 percent of the cost, it is our fiduciary responsibility to save those funds. Just because the funds exist in the Community Preservation Committee's account is no reason to spend them. Second, the inclusion of 15 foot high netting on top of a five foot high chain link fence would inextricably alter the appearance of the fields. This proposed change conjured up memories of the changes made to Turner Fields less than ten years earlier. In an eerily similar situation, the Parks and Recreation commissions (they were elected commissioners at that time) unilaterally chose to alter Turner Field by cutting down trees, installing a road-front barrier of hemlock, and revising the traffic pattern – much to the dismay of town residents and neighbors who were impacted by a change in everything from visual appearance of the neighborhood to a changed water table that created localized flooding. My opposition was also based on the fact that this Wolf Swamp Road field project would implement a significant change in appearance of the fields without proper consideration by the Planning Board. Imagine what would happen if Bay Path College or St. Mary's school erected a 20 foot high fence and netting along a town street without review by proper town authorities. Third; the inclusion of a barrier along Wolf Swamp Road to isolate the parking lot was proposed without review by the Town Safety committee. Although it may appear that the installation of a barrier between the parking lot and the road would be beneficial, a safety review by individuals trained in such issues might determine that the current situation is safer where cars parked facing the road can pull out directly into the road, thereby not backing up into a narrow parking lot filled with children. Such a decision should be made by the town safety team, a group composed of police, DPW, and the Town Manager. Finally, there's the issue of jurisdiction. Although least important of the reasons, it must be noted that the Wolf Swamp Road fields are not a park, under the jurisdiction of the Parks and Recreation Department, but are open space, under the jurisdiction of the Select Board. When the Parks and Recreation Commissioners altered Turner field years ago, they did so outside of their jurisdiction. Even with a review by the Community Preservation Committee, this was clearly a project request beyond the jurisdiction of the submitting party. Although the Parks and Recreation committee is advisory to the Parks and Recreation department, the responsibility for proposing changes to Open Space is with the Select Board, and although the Parks and Recreation committee members can and should pursue additional playing fields, that goal should not include permanent changes to the fencing and roadside appearance. In summary, my decision to oppose the Town Meeting warrant article that proposed to spend $96,752 to modify the Wolf Swamp Road fields was based on the knowledge that the goal of additional playing fields could be achieved at lower cost (without including changes to the fencing appearance), and my belief that it is the responsibility of the Select Board to make sure that proposals are fully vetted by appropriate groups (Planning Commission, safety committee) before they are brought before Town Meeting for a capital appropriation request. Management of a town requires the collective skills of many people working as a team. Because of these complexities, Division Chiefs must be looked on as subject matter experts for a variety of issues including long-range planning for their divisions under the stewardship of the Town Manager. Commitment to maintain resources in a community should be programmatic instead of reactive. Simply stated, repairing roadway drainage structure (drop inlet) before it fails by sinking into the ground is proactive maintenance, while scheduling this repair after it has failed is reactive maintenance. The main different, one form of maintenance you control and the other controls you. Bad news, reactive maintenance costs you more money and is very disruptive to operations. Good news, with proper procedures in place combined with adequate funding you can drastically reduce incidents of reactive maintenance. In 1990 a distinguished group of public and private sector maintenance professional assembled to conduct an in-depth review of how public resources were being maintained and to offer recommendations for improvement. The name of this study was “Committing to the Cost of Ownership” and in their final report they identified three major areas of concern for improving how we manage and maintain public resources. It was determined that underfunding of maintenance and repair (M&R) activities was widespread and a persistent problem. The study concluded that an appropriate budget allocation for routine M&R should equal 2% to 4% of the aggregated replacement value of the resource. The study also determined where a neglect of maintenance had caused a backlog of needed repairs to accumulate; spending must exceed this minimum level until the backlog has been eliminated. Our Town’s current strategic planning document lists our resource value at $1,000,000,000, which would mean we need to set aside between $20,000,000 and $40,000,000 a year to fund our maintenance and repair program. Our Department of Public Works (DPW) annual budget funds all of our routine maintenance and some limited repair activities, but falls far short in being adequate to meet all of the maintenance and repair needs of our resources. Special funding sources such as the Capital Improvement Fund and Chapter 90 funds are primarily dedicated towards maintenance and repair (M&R) activities, but even with these additional resources we still fall far short of where we should be. Our Capital Improvement Program instead of being established at funding threshold equal to 2% of our net resource valve it is funded at 1/10th of 1% or 0.01%. Periodic condition assessment (inspection) is an essential step in effective facilities management. This process involves comparing the current condition of a resource against the condition if it were being maintained properly. The result of this comparison identifies your maintenance backlog. Ideally this information would be used to develop your next year’s M&R budget. This process also becomes a management tool for monitoring the effectiveness of M&R activities. When the inspection takes place and you notice a resource starting to fail you schedule the required repairs before it fails which is proactive instead of reactive maintenance. You do the repairs when it is convenient instead of being forced to do them at an inconvenient and more expensive time. A computerized management system is where all of your work requests are stored in data files where they can be scheduled at any time. This is also where your maintenance backlog projects can be found. No more waiting for something to break. Go to the computer and schedule a week’s worth of tasks in priority order for each employee in your organization. This data provides you with reliable resource data on work project completion, cost, history of repairs, etc. Critical work events and routine repair requests can be schedule and will automatically be generated on the due date. Web-based tracking of resident complaints allow originators to access updated status on complaints until completed. Even with all of the variables in place, without a management system to facilitate your organization your overall success will be limited. It is unfortunate but inevitable that the construction of new facilities attracts far greater attention than the maintenance and repair of existing ones. While facilities are designed to provide service over long periods of time, the substantial costs of construction are addressed all at once in public debate and management decisions. In contrast, the yearly cost of maintenance seem small, although over the course of the facility’s service life they generally total much more than the initial costs of construction. The commissioning and occupancy of a new facility are news-worthy event that attracts public attention, but the ongoing work of maintenance and repair receives little notice except when failures occur that affect the ability of the facility’s user to perform work. We just opened a brand new High School that is going to require a much more sophisticated maintenance and repair program than our previous school with its state-of-the-art systems and equipment. Managers and elected officials, faced with the constant challenge of balancing competing public priorities and limited fiscal resources, often find it easy to neglect the maintenance and repair of public buildings, and not only because new construction or other activities have greater public interest. The cumulative effects of wear on a facility are slow to become apparent and only infrequently disrupt a facility’s user. Managers of facilities seldom have adequate information to predict when problems will occur if maintenance efforts are deferred. These managers are often poorly equipped to argue persuasively the need for steady continuing commitment to maintenance. Underfunding of maintenance and repair is such a prevalent practice in the public sector that it has become in many communities a de facto policy that each year compounds the problem as the backlog of deficiencies grows. Neglect of maintenance can nevertheless affect public health and safety, reduce productivity of public employees, and cause long-term financial losses as buildings deteriorate prematurely and must be replaced. Decisions to neglect maintenance, whether made intentionally or through ignorance, violate the public trust and constitute a mismanagement of public funds.